In our fourth and final Marketers on a Mission article, we examine what it takes to compete with the proverbial 800-pound gorilla in retail—Amazon. Clearly, Amazon’s dominance has forced retail marketing teams to take drastic new measures to compete. They really don’t have a choice. 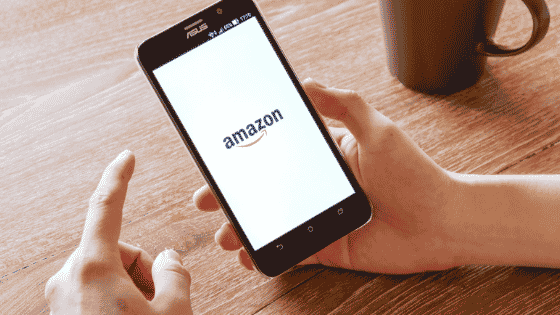 According to research in our Marketers on a Mission report, 45 percent of consumers report that they regularly shop with Amazon instead of with other online brands, department stores, malls, and boutiques. As a result, retailers are rethinking past approaches and adopting new strategies, such as providing fast, free shipping, reducing prices, and focusing on the overall customer experience. In fact, a resounding 95 percent of retail marketers said that Amazon has significantly impacted their marketing plans. Yet all is not lost. There is still at least one major advantage that retailers believe they hold over Amazon: the in-store experience. From the same report, nearly 40 percent of respondents said that “the in-store experience” was the single key advantage they have over the retail giant. This was the clear winner by far, with “brand loyalty” coming in second. The in-store experience may be easy to overlook, but it is an important factor to consider. Many consumers still either prefer to shop in-store or will visit a store to pick up an online purchase or make a return. Stores are still appealing since they can help consumers avoid shipping fees, save time finding the right item, or getting credit for a return. What does this mean for email marketers? To start, it means that marketing teams need to make sure they are tracking store data and syncing it with any/all digital channels to create the very best customer experience possible. They can also use email to increase connection and engagement with customers or prospects, which can include in-store experiences. One way to to create more engaging experiences is by activating customer data. To do this, marketing teams should start with the information they have available, and use it to create extremely personalized communications. This can be done by using intelligence gathered from shopping cart activity, website searches, email opens and responses, and other behavior, and applying real-time decisions to target content by location, time zone, or device, for example. Activated data belongs to the company, not Amazon, so it provides unique customer insight that can’t be accessed by Amazon or any other competitor. For instance, innovative email marketing teams can use real-time email personalization tools that include maps that point customers to the closest store location. These emails can offer a discount, a special promotion, or in-store event to get consumers into a store—and delight them with a new, unexpected experience that will increase loyalty. Email can be used in other ways besides direct sales. For example, marketers can poll their audience to collect meaningful data for future activation and connect consumers across channels. So if you’re wondering what the right strategy is to compete with Amazon, focus on creating the best interactions possible, including in-store experiences. In case you missed our first three articles, you can still read Marketers are on a Mission to Make the Right Investment or Maximize Results with Behavior-Based Emails now. Or, if you want to get all of this information, all in one place, download the full Marketers on a Mission report now.